The business started many years ago by David Collins, firstly as a sole trader, then registering Collins Contractors Plant Hire Ltd in 2000. 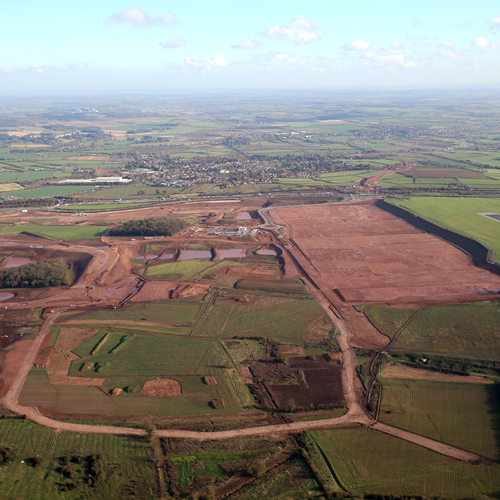 In 2006 our trading name was changed to Collins Earthworks Ltd. Based near Kirkby in Ashfield, the company has worked throughout Great Britain. We have been fortunate to achieve an increased turnover through the years and established a number of affiliated companies. Our sister company, EnviroTrac Ltd, was set up in 2008 which specialises in soil stabilisation. Collins Training was formed in 2013 to provide operator training internally as well as offering external services. Our most recent investment has been the establishment of Collins Demolition Ltd. Each enterprise operates out of the same offices in Nottinghamshire to provide a single port of call to our clients. 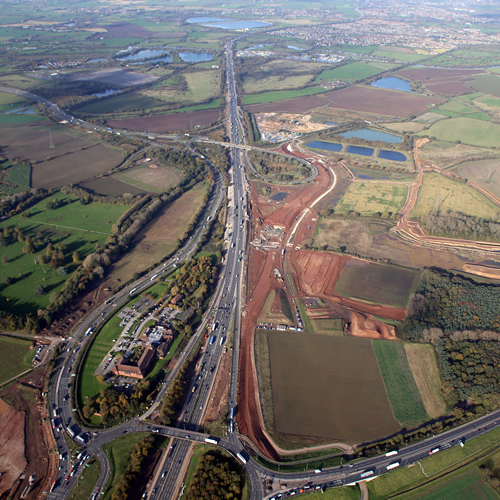 The East Midlands Gateway development is located on farmland between Lockington and East Midlands Airport. Copyright © 2019 - Collins Earthworks Ltd - All rights reserved.